Praised for his “lyrical tenor” voice (NY Times), “velvet legato” (SanDiego.com) and for being “sonorous and alive to text” (Cleveland Plain Dealer), tenor Scott Mello’s 2015/16 season included a return to San Antonio Symphony in Handel Messiah and Bach Collegium San Diego in Monteverdi Vespers of 1610. A noted interpreter of Handel, he has recently appeared in Messiah with Nashville Symphony, La resurrezione with Bach Collegium San Diego, as well as the title roles in Samson with Nicholas McGegan and Jephtha with American Opera Theater and director Timothy Nelson. The Baltimore Sun said Mr. Mello’s portrayal of Jephtha was “phrased with admirable sensitivity...He shaped the oratorio's most famous number, ‘Waft her, angels, through the skies,’ with considerable eloquence." Highlights of previous seasons include tours of Brahms Liebeslieder Walzer/Neue Liebeslieder Walzer with Mark Morris Dance Group, Claude Vivier Journal with Cappella Amsterdam, Graun Der Tod Jesu with Finnish Baroque Orchestra, and Bach Mass in B minor on tour in Asia with Masaaki Suzuki. He has recorded extensively for Avie, Dorian Sono Luminus, Ex Cathedra, Koch International and NPR. This summer he returns to Oregon Bach Festival and Staunton Music Festival, and makes his debut with the Kuhmo Chamber Music Festival in Finland. 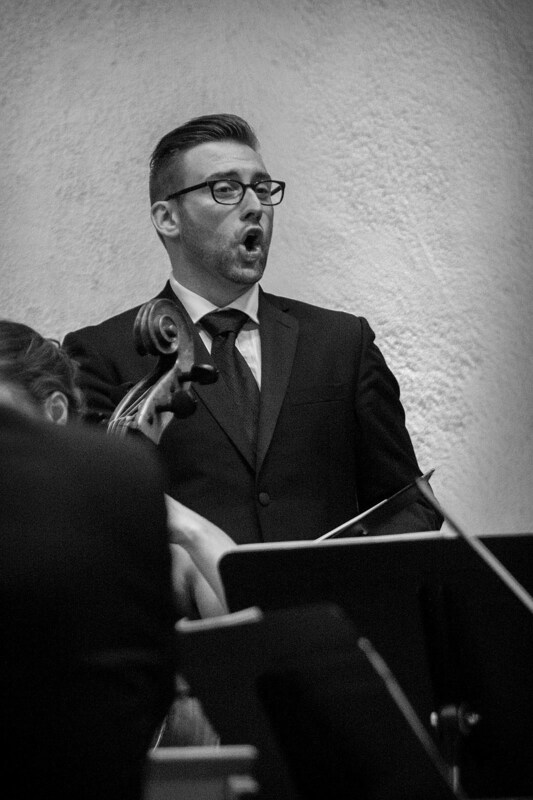 Mr. Mello holds degrees from Oberlin Conservatory, New York University, and Yale University School of Music and Institute of Sacred Music and has served on the voice faculties of Ithaca College, University of Richmond, Washington & Lee University, and Seton Hall University.